2019 schedule is finally up. 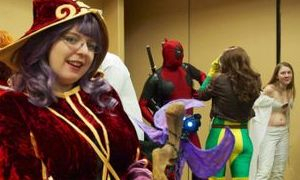 Cosplay Contest - 5pm Saturday 03/23/2019 - run time about 1hr to 1:30. Show off your amazing projects and for some, the hard work with the sowing machine. Blue Dragon Dojo Martial Arts Demo - 2pm Saturday 03/23/2019 - run time about 1hr. 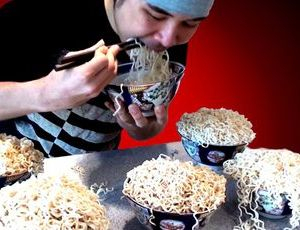 Ramen Eating Contest - 5pm Friday 03/22/2019 - run time about 1hr. How fast can you eat 3 bowls of Ramen? Sign up the first day of the convention at the door. They will be in Chicken Flavored Top Ramen Cups. Preheated water will be poured and we'll wait between 3 to 5 minutes to cook and cool. First round. 16 Contestants. Top 8 will continue. Third and final round. 2 Contestants. There will only be One Ramen Warrior Champion. Las Cruces Game Convention (LCGC) and associated parties are not responsible for any illness or discomfort the contest may cause. Open to all ages. Contestants must finish all ramen and veggies in the cup completely. Including broth/liquid/water left behind. Judges will be present to announce winners and rules will be explained in person again.